Close by the Sun is Mercury, a practically atmosphere-like world that has a lot of craters. Until NASA's MESSENGER spacecraft arrived there in 2008, we knew very little about the planet—only part of it had been imaged! But now that the spacecraft has been circling the planet for a few years, we know a heck of a lot more. Here is some stuff about Mercury that's useful to know. 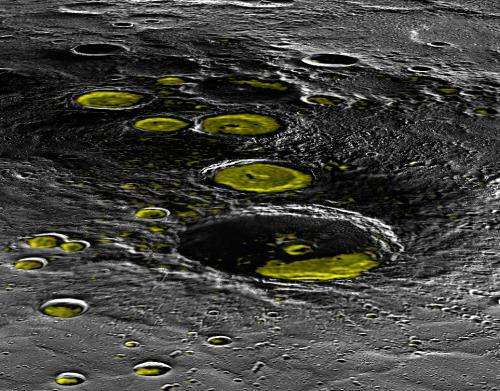 This may sound surprising given that the planet is so close to the Sun, but the ice is in permanently shadowed craters that don't receive any sunlight. Organics, a building block for life, were also found on the planet's surface. While Mercury doesn't have enough atmosphere and is too hot for life as we know it, finding organics there demonstrates how those compounds were distributed throughout the solar system. There's also quite a bit of sulfur on the surface, something that scientists are still trying to understand since no other planet in the Solar System has it in such high concentrations. 4. 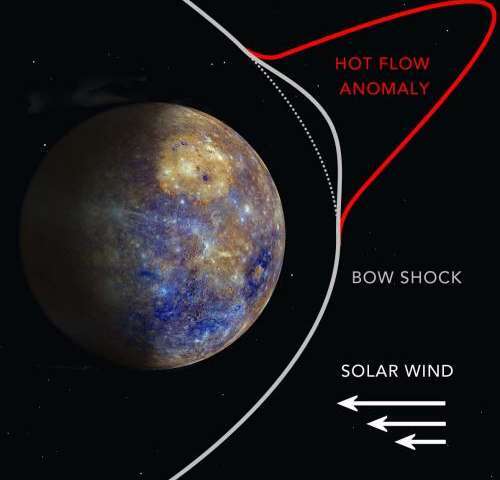 Mercury's magnetic field is different at its poles. Mercury is somehow generating a magnetic field in its interior, but it's quite weak (just 1% that of Earth's). That said, scientists have observed differences in the north and the south pole magnetic strength. Specifically, at the south pole, the magnetic field lines have a bigger "hole" for charged particles from the Sun to strike the planet. Those charged particles are believed to erode Mercury's surface and also to contribute to its composition. 5. 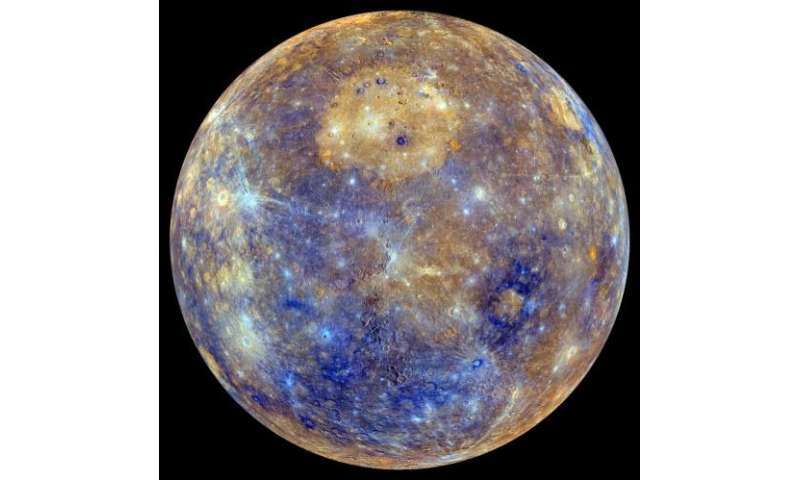 Despite Mercury's weak magnetic field, it behaves similarly to Earth's. Specifically, the magnetic field does deflect charged particles similarly to how Earth does, creating a "hot flow anomaly" that has been observed on other planets. Because particles flowing from the Sun don't come uniformly, they can get turbulent when they encounter a planet's magnetic field. When plasma from the turbulence gets trapped, the superheated gas also generates magnetic fields and creates the HFA. 6. Mercury's eccentric orbit helped prove Einstein's theory of relativity. Mercury's eccentric orbit relative to the other planets, and its close distance to the Sun, helped scientists confirm Einstein's general theory of relativity. Simply put, the theory deals with how the light of a star changes when another planet or star orbits nearby. According to Encyclopedia Britannica, scientists confirmed the theory in part by reflecting radar signals off of Mercury. The theory says that the path of the signals will change slightly if the Sun was there, compared to if it was not. The path matched what general relativity predicted. The number of satellites orbiting around a planet is directly related to the mass of a planet and its rotation around its axis. Small Pluto has a radius of 2 300 km, 0.002 of the Earth's mass; it has several satellites, one of which is really big, compared to Pluto. Pluto makes a single rotation around its axis in 6.4 days! More cartoons. Is the entirety of this space fantasy represented by silly artwork? Or can we expect ACTUAL photos some time soon? Where are the real photos? It's 2015... all we have are CGI cartoons (even where the Earth is concerned), artist illustrations.... "wavelengths" compiled by a computer simulation. Nothing. 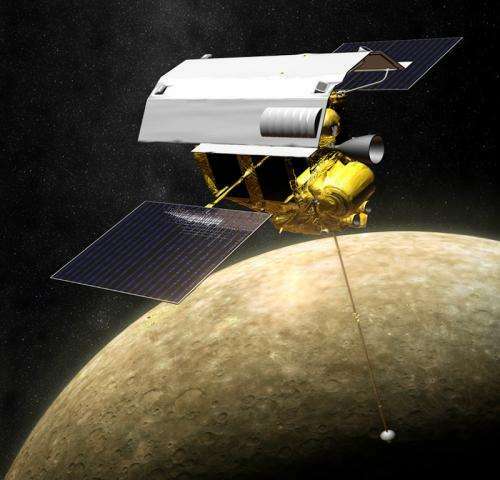 "Illustration of MESSENGER in orbit around Mercury"
It's all just theory.... computer generated nonsense and artistry. Do people actually take this as fact? I can take a photo of a puddle of oil in the street and present it as deep space with as much conviction. Well, why don't you just do that. Go off somewhere, make some puddles, and take some pictures of them if it amuses you to do so. The worth was in the content of the article. Most of the rest of us outgrew the need for picture books quite a while ago, when we were small children. Noting your ambivalence towards computers and digital image processing, I'd strongly suggest you stick to film and avoid any use of digital cameras as you document your puddles. Image processing has always been unavoidably at the heart of all modern cameras. Amazing. When I was a kid, the smudgy, low resolution photos we got back from the Venera probes revealed very little detail.